Thirteen Hair-Raising Tales from Rising Horror Author, Stefanie Snider! 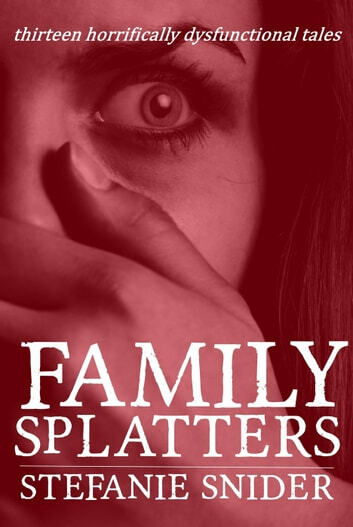 Featuring #1 bestselling short story "Daddy's Trick" (Amazon UK) and popular stories "True Crime" and "Annabelle", this short story collection also includes TEN BRAND NEW, NEVER BEFORE PUBLISHED STORIES of terrifying family dysfunction. NV - How far would you go to have the family of your dreams? Inheritance - It started as an accident. It ended as a murder. Godder - Of godfathers, godsons, and the woman keeping them apart. Gramma Candy - The old woman's changed the game, and you don't want to lose. Thicker Than - Courtney always gets her way; she's my "perfect" sister. But I've figured out a way to be rid of her for good! Ashes - The strangest cat you'll ever meet. Sick - There's more than one way to get a busy mother's attention. Outside, In - It felt cruel to keep his wife in a box. It felt crueler not to.